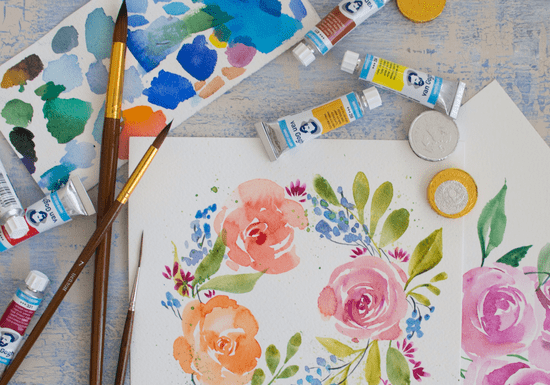 Have you ever wanted to design your own greeting cards and invites or create beautiful flowery patterns with watercolor? This short but effective 2-hour workshop will introduce you to the world of floral watercolor painting. With a skillful instructor Anastasiia, you will learn in simple steps to paint beautiful flowers and get through the basic coloring techniques. No previous drawing or painting experience is required.